Fáilte go Cumann Ceoil Oideachas na hÉireann. 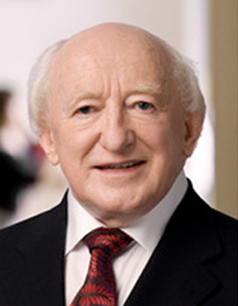 President of Ireland, SMEI Patron. The Society for Music Education in Ireland (SMEI) is as an umbrella body of individuals, groups, institutions and organisations practicing in various aspects of music education on the island. It provides a forum whereby members can discuss issues of common concern, identify areas of common practice, and share information on topics of mutual interest. SMEI engages with other national music and music education organisations, and corresponds with governmental agencies on matters relating to music education advocacy. It is also actively involved in the facilitation of workshops, conferences and showcase events at regional and national levels. It has been a national affiliate of the International Society for Music Education (ISME) since 2010.